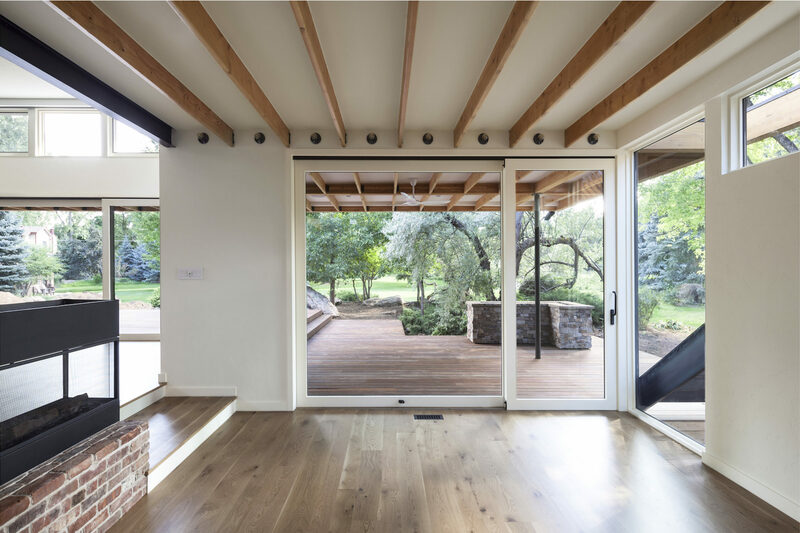 Inside-Out House is located on a wooded, city lot in Boulder, Colorado. 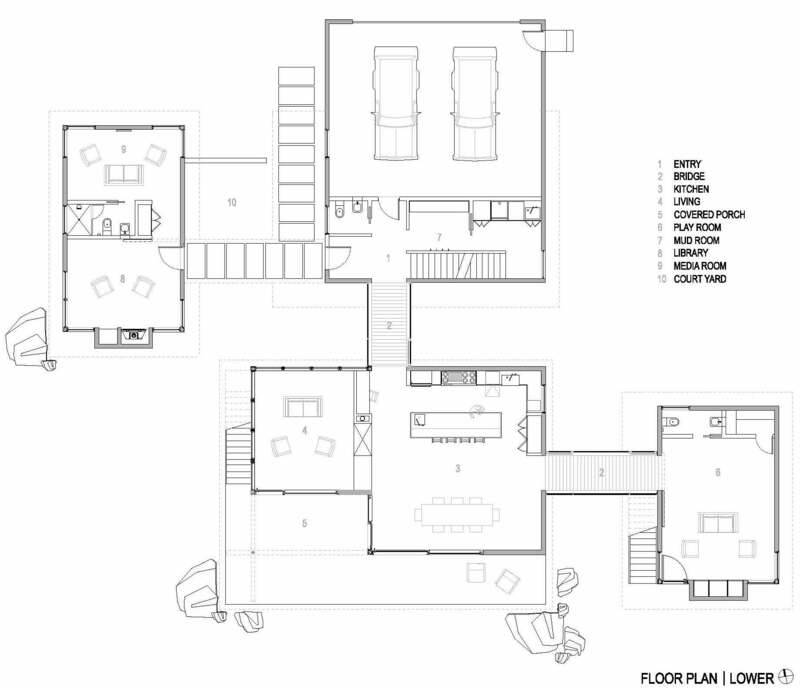 The design is a study of the interplay between prospect and refuge. 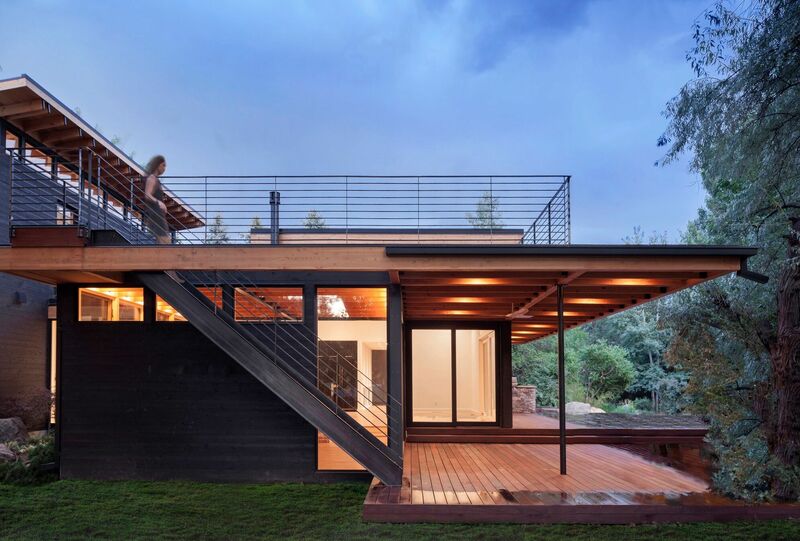 Four discrete buildings create points of refuge, while connecting bridges and decks provide opportunities for prospect and interaction with nature. 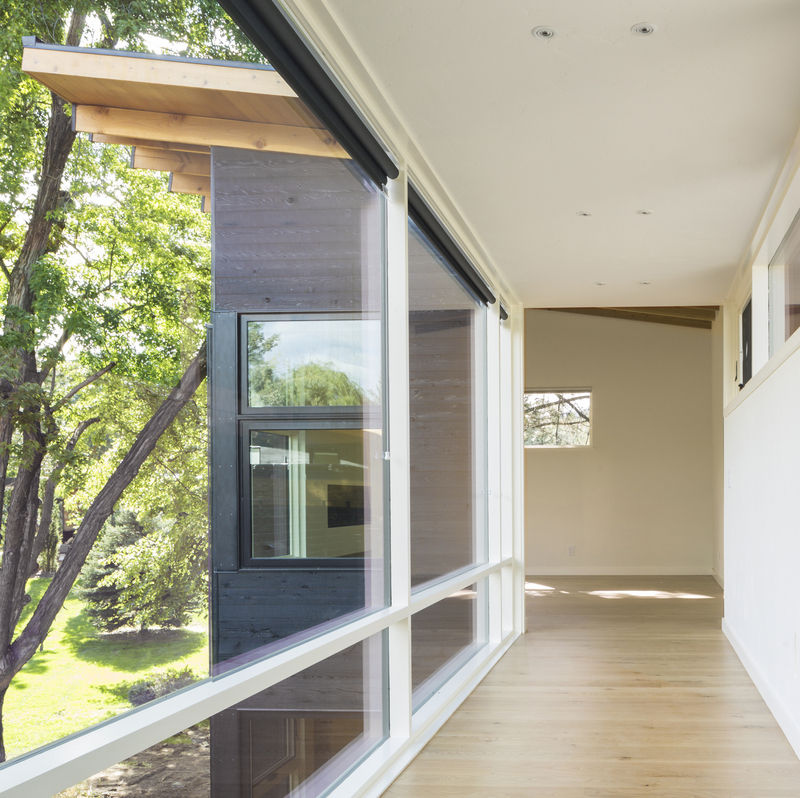 Each building is positioned according to the path of the sun, privacy needs, and views. A choice of either interior or exterior circulation between each building serves to break up routine and create a sense of surprise and delight. 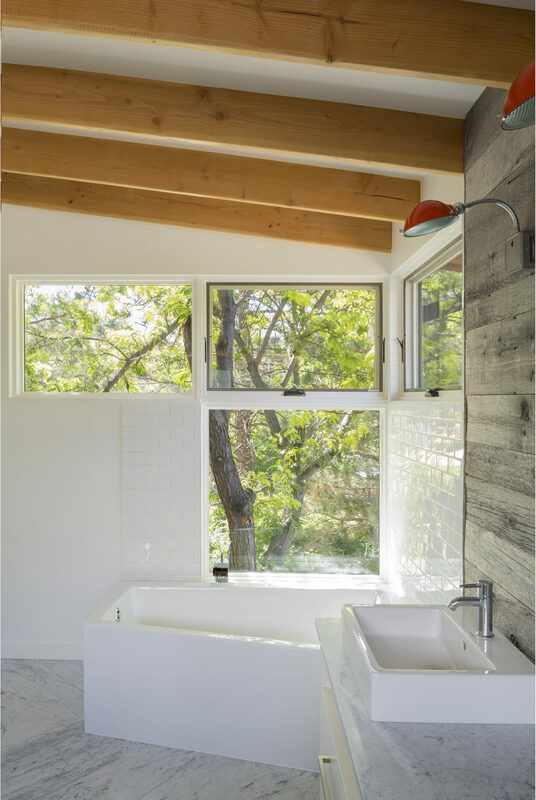 Inside and outside spaces playfully interact and connect the occupants to the natural world. 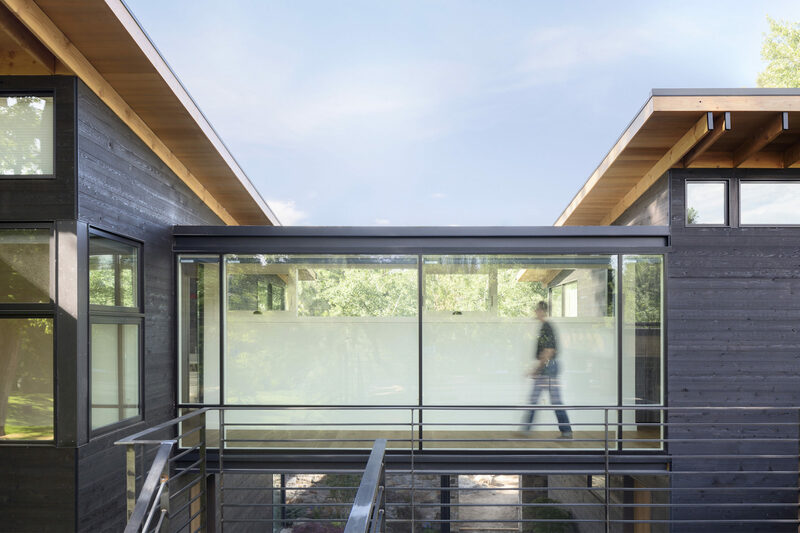 Dark stained cedar siding helps to ground the individual buildings, while floor-to-ceiling “common mullion” window glass creates graceful bridges between. 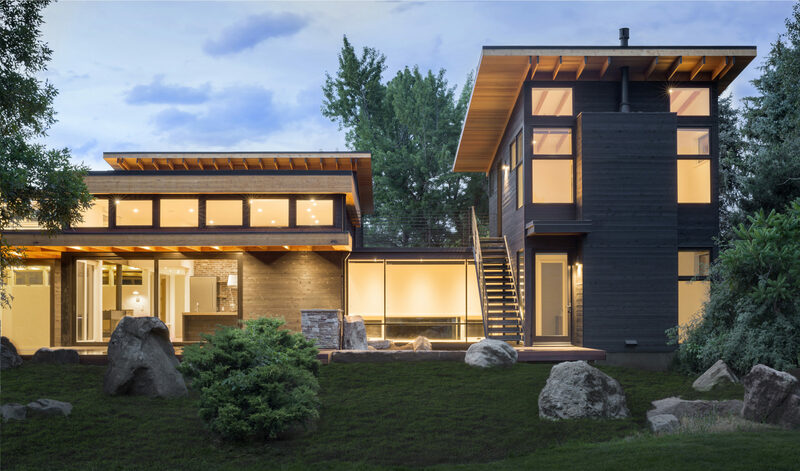 A dull steel, standing seam roof blends the house with the environment. 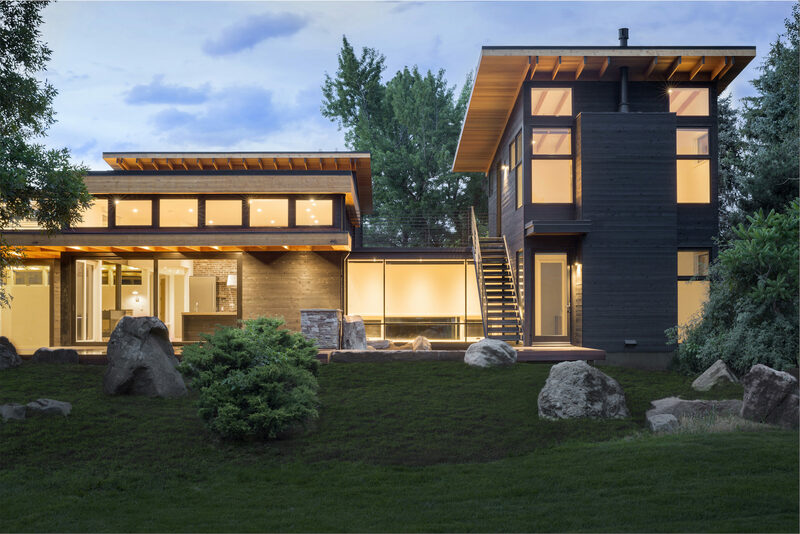 A 6kW photo-voltaic array, combined with high efficiency electric appliances, LED lighting, and abundant natural light keeps energy bills to a minimum.